Don’t let the blazing sun deter you from using your patio to the fullest extent! Adding shade to sunnier spots can increase the likelihood that you can enjoy the outdoors without melting like a popsicle. 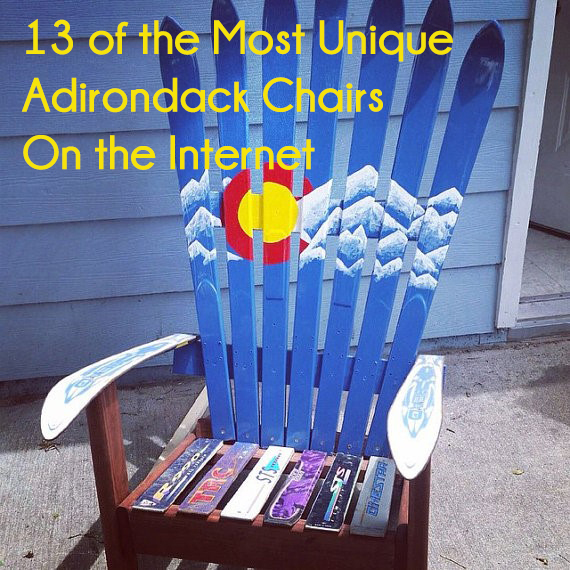 Check out our ideas below and get ready to sip your iced tea in the shade. 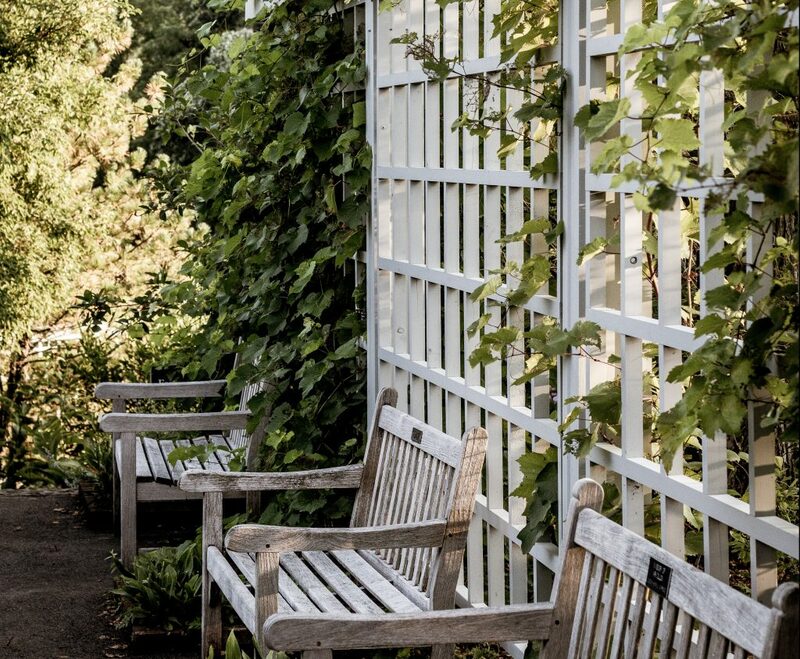 Organic elements like climbing vines trained to spread out on arbors, trellis, and pergolas can make a big impact on blocking the sun. These additions are a natural, aesthetically pleasing way to provide a little shade, while blending right into your garden oasis. Vines like jasmine, honeysuckle, clematis, and roses can be a great starting point for many but do your research for the best climbing plants for your region. Add shade and privacy to your outdoor space with a gazebo. 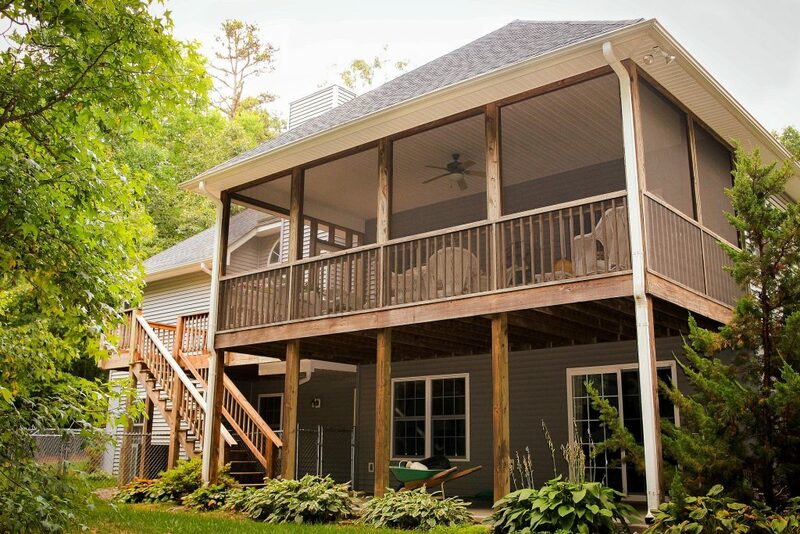 Both open-air and screened in gazebos can provide a cozy nook that will keep the sun out. 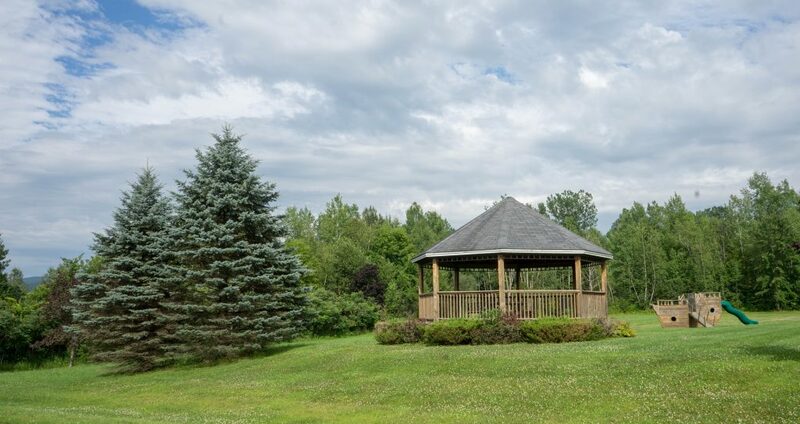 Gazebos are a great place to have seating or dining furniture that you can utilize throughout the day, keeping the area and furniture cool to the touch. If you have the space in your yard, even a small gazebo can offer the right amount of sun protection to keep you and your family out of the heat. Whether permanently creating an overhang or adding an awning, an extension of your roofline can put your house-adjacent patio in the shade. A permanent roof can be a great foundation for outdoor ceiling fans and even TVs to really transform the space into an outdoor living room. Before you break out your hard hat, check with your local HOA or city ordinances about any building permits you may need to make this happen. If you’re going to go the awning route, decide whether to go for a retractable awning or if it will be permanently extended. 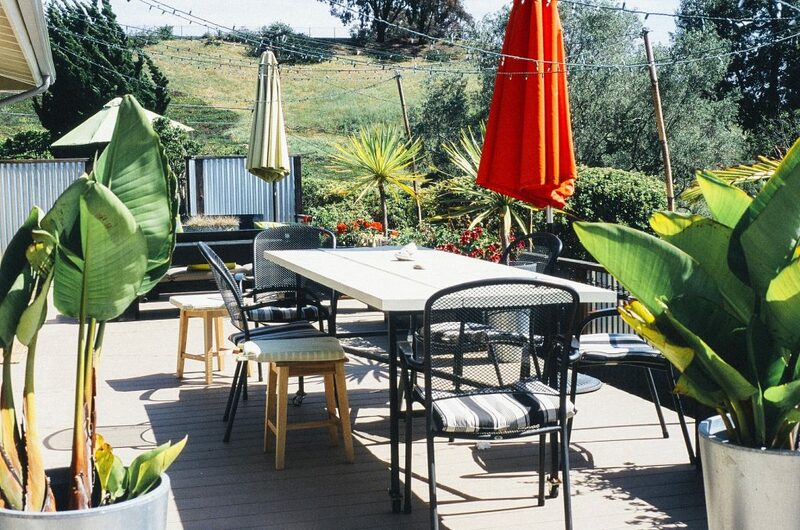 If you’re not taking advantage of your outdoor dining area as much as you should, think about investing in an umbrella. Patio umbrellas can get pricey, but you also don’t want to be constantly replacing that light, plastic one that you used to take on beach trips. 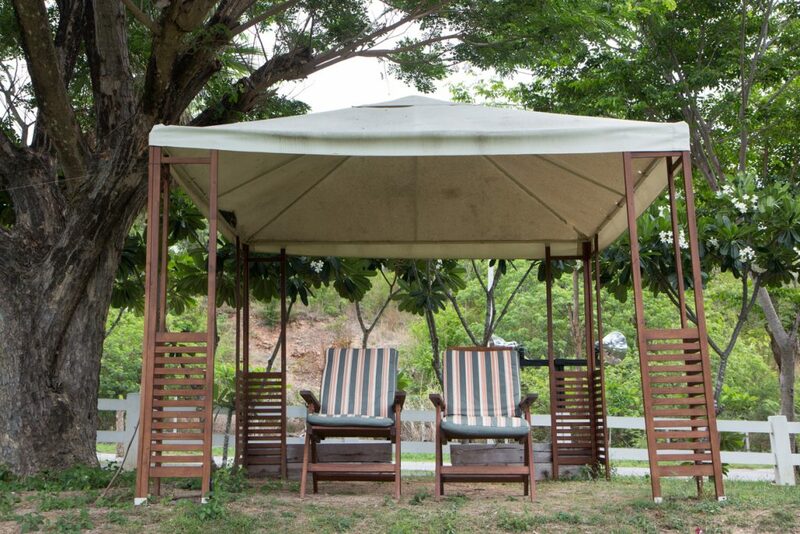 Umbrellas are a great solution for creating a shady spot, providing you and your family some seclusion from the sun all while enjoying beautiful weather. It may seem like it would take years to see the return on investment of planting trees, but there are some fast-growing tree species that can grow up to eight feet in a year! Add hybrid poplar, sycamore, or red maple trees to increase shade and privacy around your property in a relatively quick timeframe. Talk to your local nursery to find the right trees for your area and soil. Get strategic with hanging baskets on overhangs. 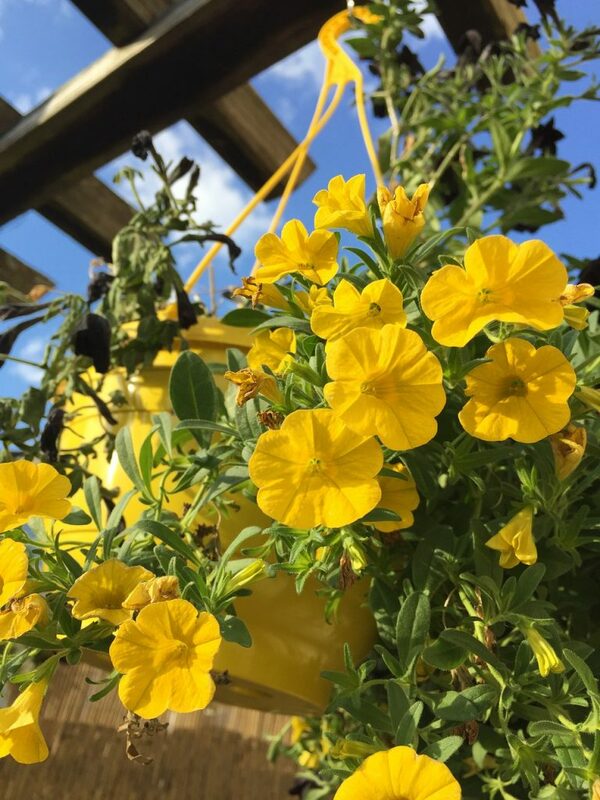 Adding this floral touch to your gazebo, roof, or any other surface a flower basket can hang help lessen the sun’s rays when it is not in peak position. This crafty tip not only creates shade in the baskets’ shadows, but they look beautiful as well. Not ready to heavily invest in a permanent shade structure? Find an all-weather pop-up canopy that will do the job when you need it. This can be a great solution if you’re backyard is relatively flat. Pop-up canopies can easily be set up and torn down if bad weather rolls through. Adding shade to your home, whether permanent or temporary, can help you maximize your time spent outdoors because you won’t be baking in the sun. Try these tips and tricks out and let us know which one works the best for your patio!